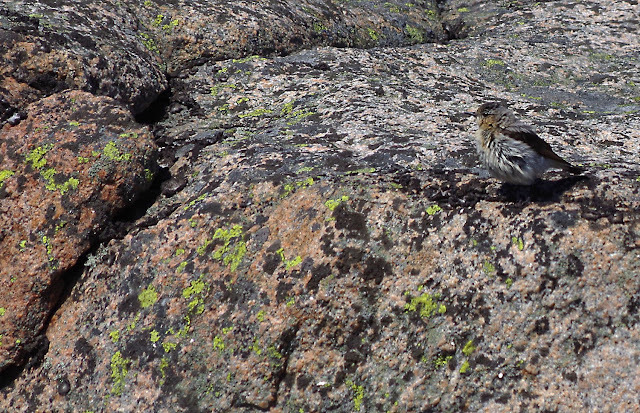 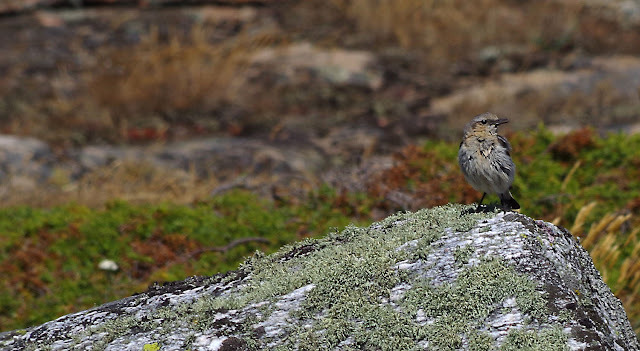 Today´s aim was to listen to the skylarks at Ramsvikslandet, and we did. 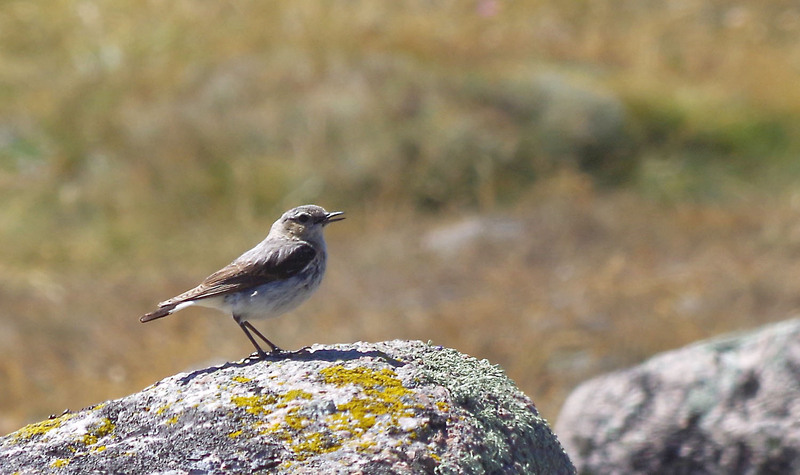 But we also met lots and lots of wheatears. 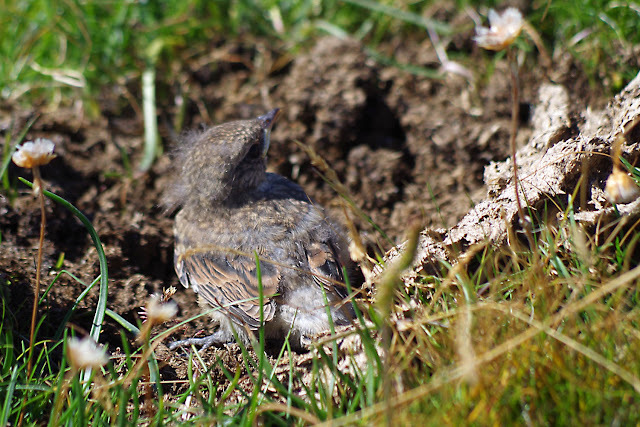 The young one in the nest I almost stumbled on, I'm afraid, but I tried not to disturb it more than necessary. Haby bukt, Ramsvikslandet nature reserve, on July 12, 2017. Pentax K50, ISO 100, 300mm, f/7.1, 1/320.